Sometimes more is just better and if you've ever got out of a Volkswagen Golf feeling you could do with a bit more space, the answer is right here in the chiselled form of the Golf SV. It's not the most committed of five-seat SUVs but there is more space in the back. 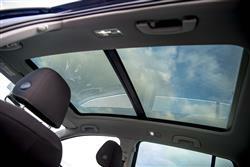 Plus there's more technology on offer in this improved model. 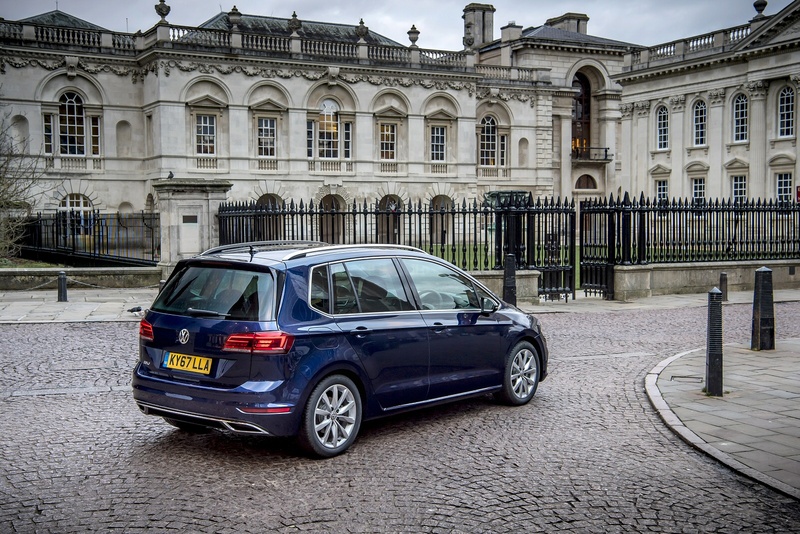 Volkswagen doesn't often take aim, loose off a shot and see it sail past the target, but that's not far off what it did with the old Golf Plus small MPV, sold in the UK between 2005 and 2013. The basic premise was sound. Take the super-successful Golf hatch and just add a bit more space. The execution, however, was some way off the mark. Volkswagen quickly realised that making the wheelbase longer was cost prohibitive, so the company was stuck with exactly the same amount of seats with the same amount of rear legroom. The only thing the company could really do was go up, the Plus measuring 95mm taller, but the Golf hatch already catered very well to taller drivers. In the end, the promise of more headroom and a sliding rear bench wasn't enough to compensate drivers for an uglier car with a higher centre of gravity and a bigger frontal area. Volkswagen sold just over 42,000 in an eight year spell, which is about seven months worth of Golf hatch sales in a decent year. 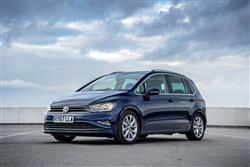 Not to be defeated, Volkswagen returned to the compact 5-seat MPV market in late 2013 with the Golf SV and as soon as we tried the car, we realised that lessons had been learned from the 'Plus' debacle. The SV (marketed as the 'Sportsvan' in Europe) proved to be longer and a good deal prettier than its predecessor. Now in the facelifted guise we're going to check out here, it gets three new TSI petrol engines, an expanded range of assistance systems, a new generation of infotainment packages and a smarter look. The talents of the Golf Mk 7 chassis need no reiterating and the lengthening process hasn't done too much to dull the driving experience. You still get the same polished feel to the suspension and that crisp, no-nonsense steering. Model for model there's around a 120kg weight penalty over the hatch, so the SV is never quite as brisk off the line but there's not a whole lot in it. Think a Golf minus 1 or 2 per cent at the limit and you're still a long way better than most of its rivals. Engine-wise, if you want petrol power, you'll get a choice of a pair of turbocharged TSI units, a 1.0-litre powerplant with 115PS or a 1.5-litre unit with 130PS or 150PS. Go diesel instead and there's a 115PS 1.6TDI or a 150PS 2.0-litre TDI flagship variant. Across the range, there's the option of DSG twin-clutch sequential transmission. The 2.0-litre diesel will punt the big-boned Golf SV to 62mph in 9.2 seconds and on to a top speed of 110mph, making it a more than adequate long distance cruiser. 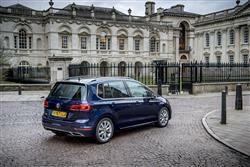 Where the old Golf Plus was a bit of a half-hearted effort, the SV is a bit more of an attempt at incorporating MPV design functionality. The longer wheelbase is key. 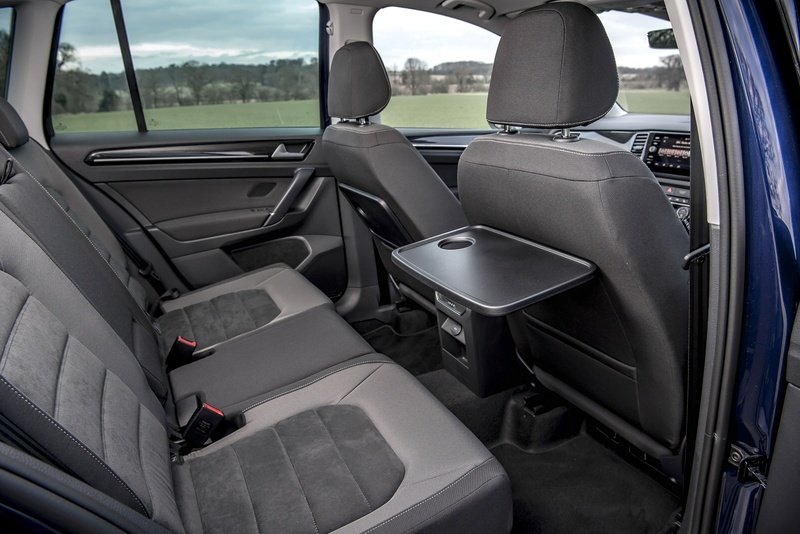 Volkswagen grafted another 54mm into the wheelbase to create the SV from the ordinary Golf hatch, which might not sound much, but makes a real difference to what you can do with the rear seats. 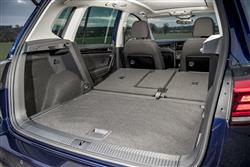 The total length has increased by 83mm, adding extra luggage capacity at the back. The styling is crisp and handsome, even more so in this facelifted model, which gets redesigned bumpers, smarter halogen headlights with LED daytime running lights, the option of full-LED headlights and standard LED tail lights on all versions. Drop inside and it's largely familiar stuff from the front seats. The classy dash, peerless ergonomics and huge range of seat and wheel adjustability draw no complaints, but the SV gets a custom dash moulding. Facelift model cabin changes include new decorative trim, smarter fabrics and the option of classier leather for the seats. 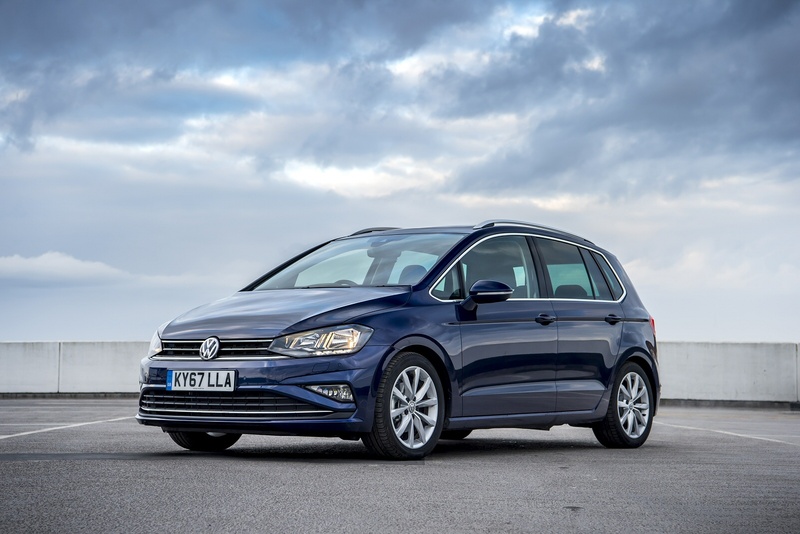 As for practicalities, well there's adequate storage up front with under-seat drawers and fairly sizeable door bins, but other MPVs ultimately offer more and better. The back seats miss a trick too, neither tumbling or being removable. The three-seat bench splits 60/40 and can fold and recline but the middle seat is hard and narrow. By contrast, you can fold the middle seat down in a Ford C-MAX or tumble the seats forward. Headroom and legroom are both excellent, and when the rear seat is slid forward to its furthest extent, boot space increases from a generous 500 litres to a cavernous 590 litres. Fold the rear seats down and you'll get up to 1,520-litres in there. SV pricing starts from just under £23,000. Volkswagen charges just over £2,000 more for this MPV variant than you'll pay for an equivalent version of the standard Golf hatch, model for model, and offers the SV in various value-orientated trim levels. Even the base 'Match'-spec version isn't badly appointed, coming complete with alloy wheels, front fog lights, tinted rear windows and the brand's 'Discover' navigation on an 8-inch 'Composition' centre-dash colour touchscreen as standard. Plus there's the option of a really sophisticated 'Discover Pro' monitor, this being the first Volkswagen infotainment system to offer both touch and voice-command operation, with gesture control in addition to proximity sensors. Other standard features include Bluetooth, a DAB digital radio, SD card reader, an iPod connector, a front centre armrest, dual rear ISOFIX fittings, seven airbags including one for the driver's knees, an XDS electronic differential, an automatic post-collision braking system and air conditioning. The fuel economy of all the diesel engines is excellent, with even the thirstiest capable of eking over 60mpg from a gallon of heavy oil. 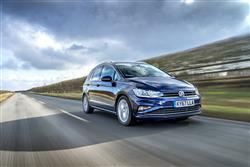 The 1.6 TDI delivers 67.3mpg on the combined cycle and manages 113g/km of CO2, which is good going for a family-sized MPV. Even the 2.0 TDI 150PS variant manages 65.7mpg on the combined cycle and 113g/km of CO2. If you want petrol power, look at the 1.0 TSI variant, which returns 60.1mpg on the combined cycle and 113g/km of CO2. 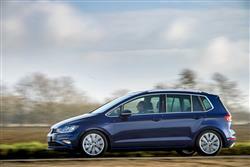 Residual values tend to mirror those of the Golf hatch, a performance which is amongst the best in its sector. As for servicing, well there's a fixed-price package that covers the car for three years and 30,000 miles. This includes an oil change at 12 months or 10,000 miles (whichever is soonest), an interval service that includes an oil change at 24 months or 20,000 miles and a full inspection service with oil and brake fluid changes at 36 months or 30,000 miles. 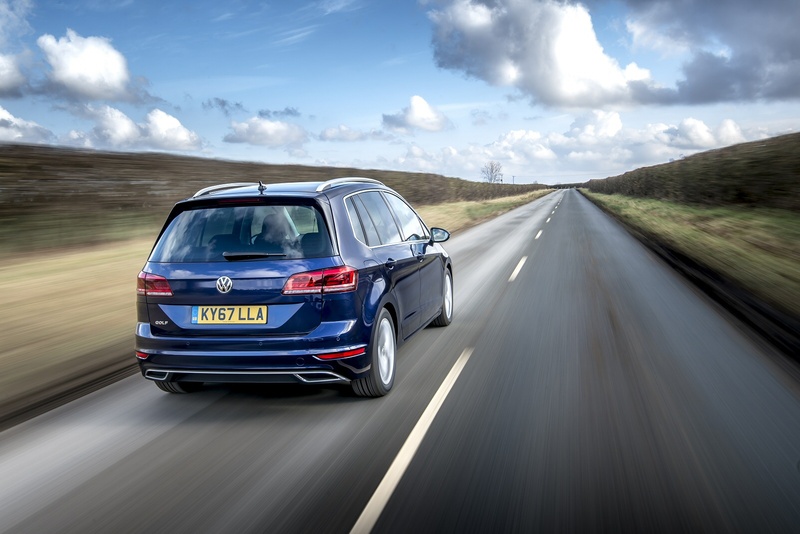 In each case, parts and labour will be guaranteed for two years and you'll be able to transfer the plan to a second owner should you sell your Golf SV during the period of cover. If you�re looking for a new Volkswagen Golf SV 1.0 TSI 115 Match 5dr DSG Petrol Hatchback for sale, you�ve come to the right place. At Bristol Street Motors we don�t just have the best Volkswagen Golf SV 1.0 TSI 115 Match 5dr DSG Petrol Hatchback deals, we also offer friendly advice and help with all your enquiries to ensure your buying experience is a happy experience.